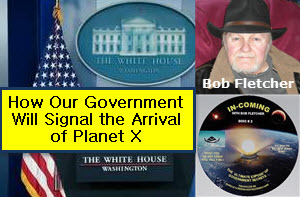 All News Pipeline recently reached out to researcher Bob Fletcher of Bob Fletcher Investigations about the mysterious 'Planet X' that we have been hearing about so much recently to ask him his own thoughts about whether or not he believed Jade Helm 15 was somehow tied to the return of this 'planet of the crossing'. 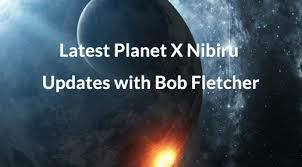 With more and more alleged sightings of 'Planet X' all over our planet Earth recently, we are republishing in full Fletcher's response to us below for our readers to discuss and debate in the comment section below. Telling us that he does indeed believe that Jade Helm is tied to 'Planet X', we urge our readers to look over this new information he's shared with us to determine whether or not they, too, feel that the many signs we are now seeing are due to the return of this mysterious 'planet'. Focusing partly on the massive weather and Earth changes across our planet and what world government's are doing to prepare for 'the return', is 'Planet X' really returning and has it wreaked havoc on our planet many times before, including causing historical floods such as the flood of Noah? How will our government signal the return of Nibiru/Planet X? Bob shares his thoughts below. This is a very interesting read and we thank Bob for taking the time to write this out for our readers. We have also included a recent video of Fletcher with Augusto Perez on the The Appearance Portal discussing many of these same subjects for those who prefer to watch the video below. You can also order his latest DVD "In-Coming!" here. In reference to the story you are working on, relative to the Jade Helm 15, military experiment, or military exercises, and it’s possible relationship to planet X or Nibiru or a related Celestial problem that is ,”INCOMING”.. In my four hour, double disc DVD presentation titled, “Incoming”, I clearly explain all of the interconnections and pieces of the puzzle that would indicate that we are soon, within the next year or two, to be visited by this extraordinary infrared planet making its way back to circle the sun one more time, after a multitude of prehistoric visits to earth. It’s close passing around the sun obligating the earth to actually go through the tale of this space junk dragged around by Nibiru, two times, about 155 days apart. As well as the earth, being directly affected by Nibiru ‘s physical effects on our sun, moon and other planets; this including the crust and the surface of Earth. It will be an event repeating Noah’s flood’s; it will wipe out most of the electronics from satellites back down to the earth and earthbound generational systems. Nibiru has already altered our weather on a permanent basis and it will not move back to its regular seasonal program for a long time. It has regenerated volcanic activity; it has caused effects on the very crust of the earth itself; it is aiding and abetting in the rapid melting of glaciers in both the North and South poles. These effects, were realized back as far as 1983, while Ronald Reagan was president and programs were put into operational concepts, at that time. . including the expansion of the secret underground facilities as survival locations for the limited few. I certainly believe that the Jade helm 15 military exercises are a finalizing of the potential for martial law in the United States. Martial law must be in effect, at some point in time before the actual sightings become commonplace of a new star headed our way, getting larger on a weekly basis as it approaches. There will never be an announcement from an official capacity, indicating that this is headed our way. But militarized police and sheriffs and the military themselves have to be in place to control the masses. This action must take place prior to the official sighting or unofficial sighting by thousands of amateur astronomers when the time comes. I was not aware of the Jade Helm 15 plans , when I was completing the four hour double DVD presentation. However, I do completely explain the relationship of the need for martial law. I am showed the militarization of policing organizations across the country, etc., which we began, way back in the 90s. The first titled military practice exercises like those of Jade helm’s 15, was ,”Rex 84 “put together in 1984 by Ronald Reagan and George Bush, and was exposed publicly in the congressional hearings on the Iran-Contra investigations at the congressional level. I was in fact a federal witness supplying documentation in that investigation. Rex 84 was,”Ready Emergency Exercise , 1984”, which included the suspension of the Constitution. If you will notice there is very little official confirmation or unofficial news releases on this program. Bob Fletcher joins Augusto Perez in this video that was just released a week ago. 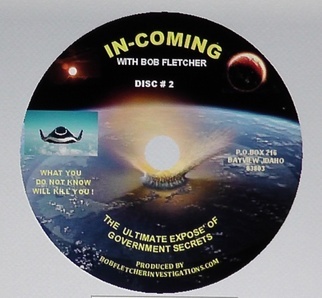 Bob joins at the 4 minute 50 second mark along with Larry Taylor and begins by telling us what got him involved in Nibiru in the 1st place; he was once an investigator investigating government corruption at the highest levels.